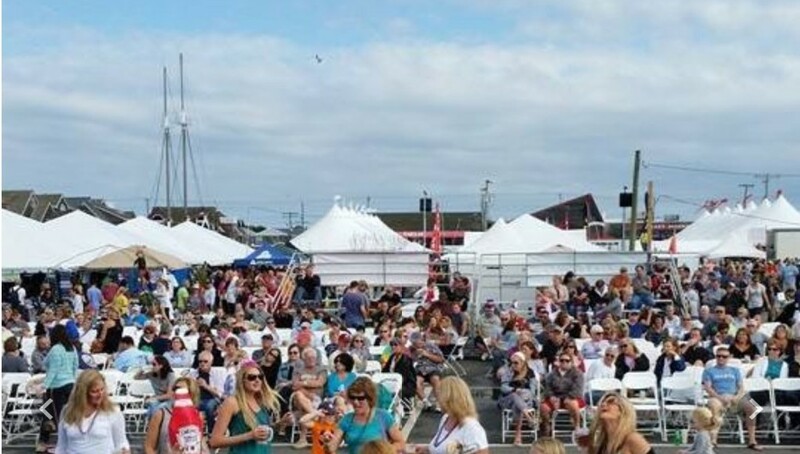 One of the top food festivals in the North East, Chowderfest welcomes fall into the Long Beach Island Region of the Jersey Shore with great food, live music and one of the most important votes you will cast this year. 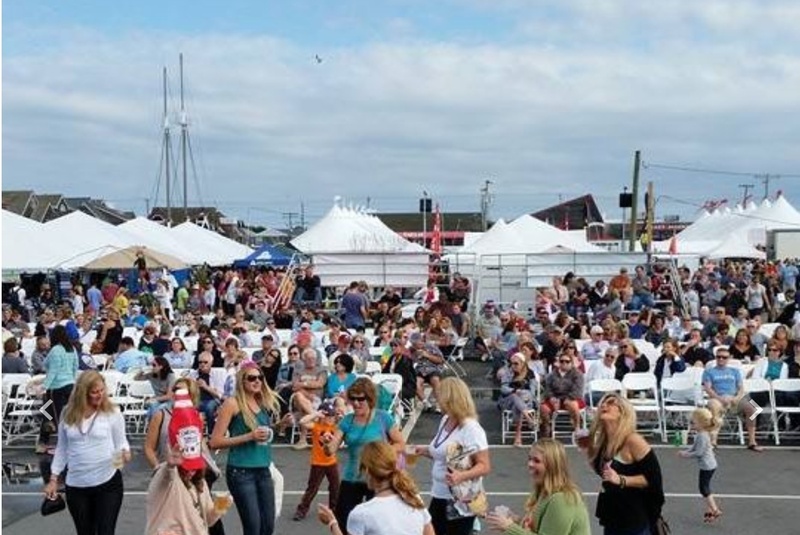 SHIP BOTTOM, N.J. – Sept. 8, 2016 – – There is no place else at the Jersey Shore where the first weekend in October brings the excitement of summer, unless you are spending it in Long Beach Island for the 27th Chowderfest Weekend. Thousands will descend, to share the experience choosing the Grand Champion, by taste testing unlimited red, white and creative chowders from the region’s best restaurants. 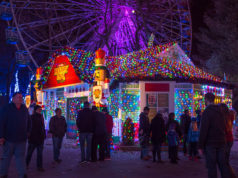 Southern Ocean County Chamber of Commerce members have packed this two day festival with the best entertainment, food and shopping of the season. Saturday October 1 starts off at with Free Admission for Merchant Mart, running from 10am to 5pm, Taylor Avenue Ballfield and 9th Avenue in Beach Haven becomes a bounty of end of summer bargains, fall and holiday treasures, live music by Hawkins Road, children’s entertainment, gourmet food court with beer and hard cider on tap is all part of the gearing up to Sunday’s Chowder Cook Off Classic. October 2, brings on the competitors including (Red Chowder) The Black Whale Bar & Fish House, Lefty’s Tavern, Stefano’s Seafood & Pasta, Stockton Seaview Hotel & Golf Club and Shore Fire Grille; (White Chowder) The Chicken or the Egg, Country Kettle Chowda, Howard’s Restaurant, Sea Oaks Country Club, Mud City Crab House, The Shack; and (Creative) Blue Water Café, La Bamba, Cuisine on the Green, Southern Smoke and Buckalew’s who will be serving it up to VIP ticket holders beginning at 10am, General Admission ticket holders at 11am with samples throughout the day. Cheer on your favorite under the big tents, enjoy the entertainment and the beauty of being steps from the bay. Every ticket holder gets a vote for each category and can watch the award ceremony at the end of the afternoon. Tickets are on sale now and can be purchased for Sunday’s cook-off, through www.chowderfest.com or by contacting the Southern Ocean County Chamber at 265 West Ninth Street, Ship Bottom, phone 609-494-7211. Tickets are also available at Merchants Mart or the gate the day of the event. 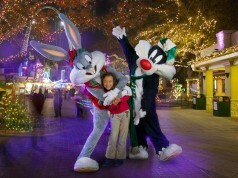 General admission tickets are $25; children’s tickets (ages 4-12 ) are $10; and VIP tickets are $55. 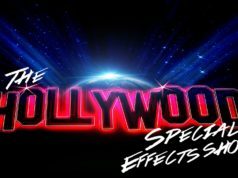 (The VIP ticket includes a T-shirt and exclusive early admission at 10 a.m.) There is free parking and Sunday shuttle service. 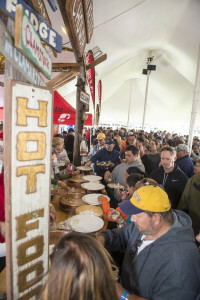 For more information check out our Offical LBI Chowderfest Facebook page or www.visitlbiregion.com, The event is presented by Southern Ocean County Chamber of Commerce along with sponsors The Sandpaper/Beachcomber, Sysco, Bud Light, Ritchie & Page Distributing and TD Bank. Funded in part by NJ Dept of State, Division of Travel and Tourism.